This session uses the author’s live computer music work Spheroid as point of departure for discussing an approach to electronic music practice based on real-time composition/performance of spatial texture interior, also branching out into related topics of synthesis, spatiality and ontology of sound. Presenting research undertaken as part of a Leverhulme Early Career Fellowship at University of Birmingham, the lecture engages in both practical and conceptual reflection on how an ostensibly acousmatic sonic terrain responds to the composition of potential rather than fixed morphology, describing a step towards a practice which attempts at achieving the richness and complexity of studio-composed multichannel music in a format that is entirely real-time and not reliant on absolute structure. This reflects a central aesthetic and conceptual emphasis on music as a process of becoming, where notions of composer, performer, material, structure, are all considered part of a synthesis which has no independent elements. The ‘spheroid’, described both as an irregularly revolving algorithm for textural growth, embedding and responding to performance, and as the physical and virtual sphere of interaction between human, nature and technology, also invites some interdisciplinary modes of thinking concerning the ‘human’ in the music of our age. 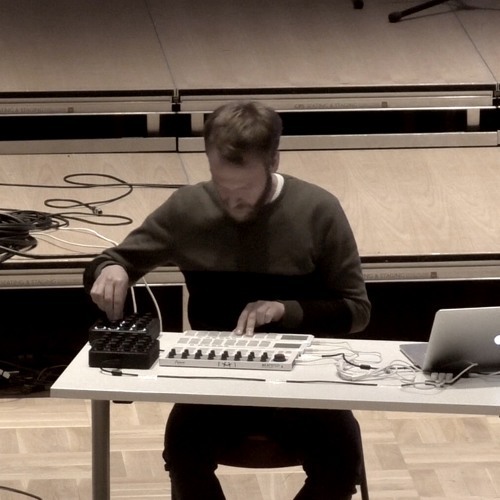 Erik Nyström is a composer and performer whose output includes live computer music, electroacoustic works, and sound installations. 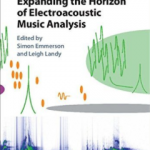 He is currently a Leverhulme Research Fellow at Birmingham Electro-Acoustic Sound Theatre, University of Birmingham, UK, developing new aesthetic and technological approaches for spatial texture synthesis in composition and performance. 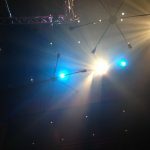 His studies include a PhD in electroacoustic composition with Denis Smalley at City University, London, and computer music at CCMIX, Paris. He performs frequently worldwide and his music has been released by empreintes DIGITALes.